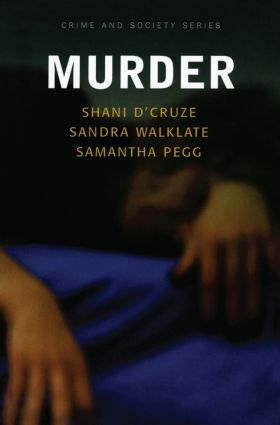 This book seeks to unravel the issues associated with the crime of murder, providing a highly accessible account of the subject for people coming to it for the first time. It uses detailed case studies as a way of exemplifying and exploring more general questions of socio-cultural responses to murder and their explanation. It incorporates a historical perspective which both provides some fascinating examples from the past and enables readers to gain a vision of what has changed and what has remained the same within those socio-cultural responses to murder. The book also embraces questions of race and gender, in particular cultural constructions of masculinity and femininity on the one hand, and the social processes of 'forgetting and remembering' in the context of particular crimes on the other. Particular murders analysed included those of Myra Hindley, Harold Shipman and the Bulger murder.